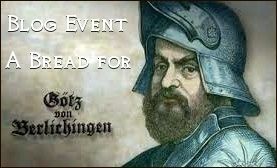 When I – driven from a real “Breaking Bad Bread” experience – challenged my baking buddies from The Fresh Loaf, Facebook and several congenial blogs to create a “Bread for the Knight with the Iron Hand“, I promised myself to try all 30 loaves over time. Well, let’s say, almost all of them: the original 1914 German Army Kriegsbrot I’ll better keep in reserve when times get tough. 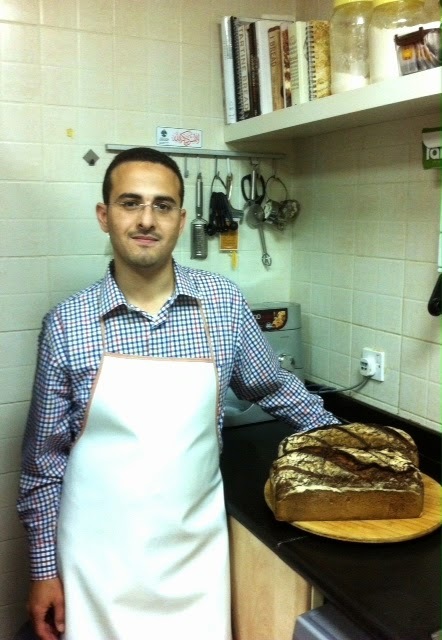 Preparing Khalid’s Götzenburg-Brot, I was struck by the idea to not only present his bread on my blog, but, also, finally satisfy my curiosity, asking my Fresh Loaf friend (username: Mebake) how on earth he came to bake whole grain breads in Dubai. 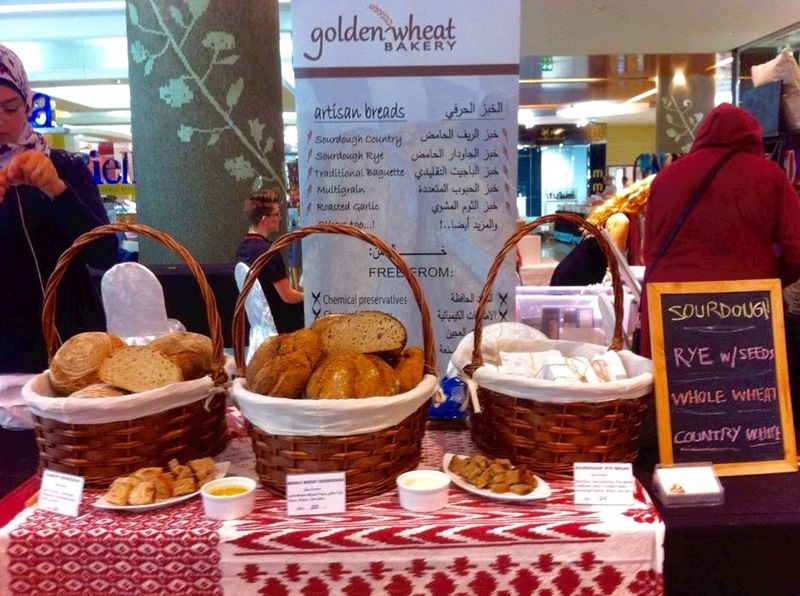 Khalid bakes whole grain breads – in Dubai! It all started with an idea to make a decent whole wheat bread. I wanted to bake a healthy wholesome loaf that my wife and I would enjoy on a daily basis. In Dubai, United Arab Emirates, most bread is mass produced in commercial plants. I wanted something different, and so began searching online for recipes, and stumbled upon thefreshloaf.com website. Encouraged by the knowledgeable, kind, and courteous community members of the site, I learned much about bread making including pre-ferments, and the merits of slow fermentation. 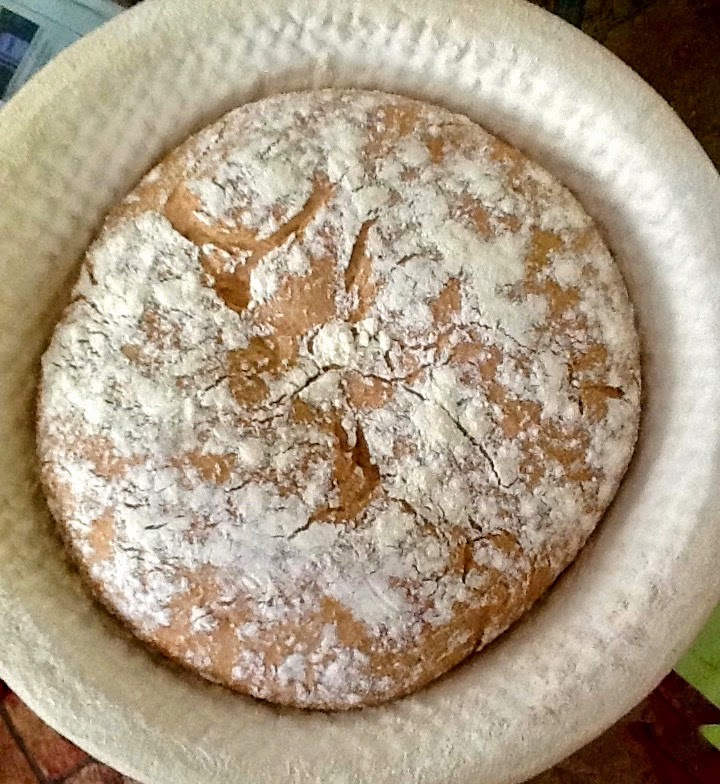 Without hesitation, I joined the community and began baking bread and sharing my results though my online blog. Prior to this point , I had never been exposed to Artisan breads of any kind. 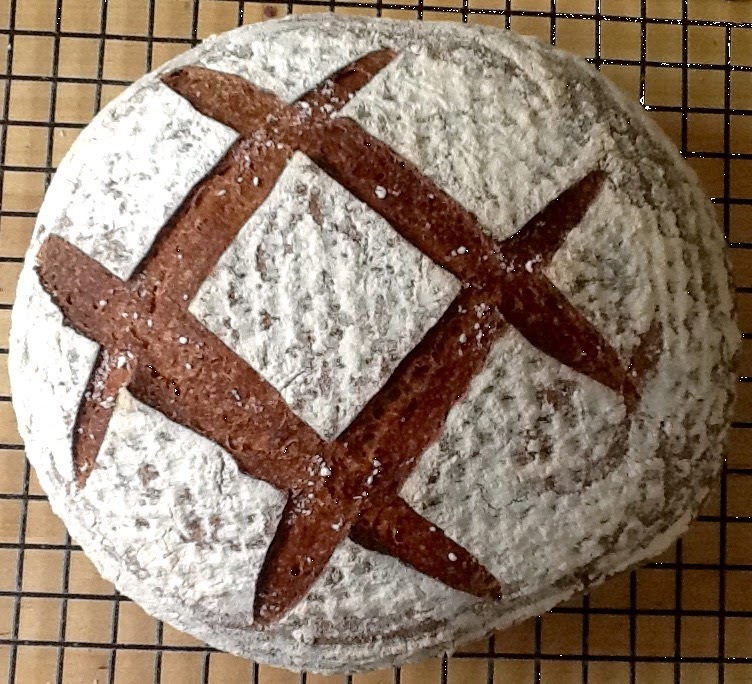 I bought several books, read blog posts, and watched many online videos on bread making. Soon, I felt that bread making resonates well with me like no other hobby I have ever tried before. Furthermore, I was charmed by the idea of baking bread from scratch using basic ingredients. With no reference points, and with the help of my keen wife, I started baking feverishly. At times, she would sarcastically call the dough: the “other lady”! as I spent hours and days pouring over the bread books and trying different recipes. The early breads were quite sour and bitter, but as I continued to bake on a weekly basis, results where slowly improving until I finally baked a whole grain loaf I could call decent. 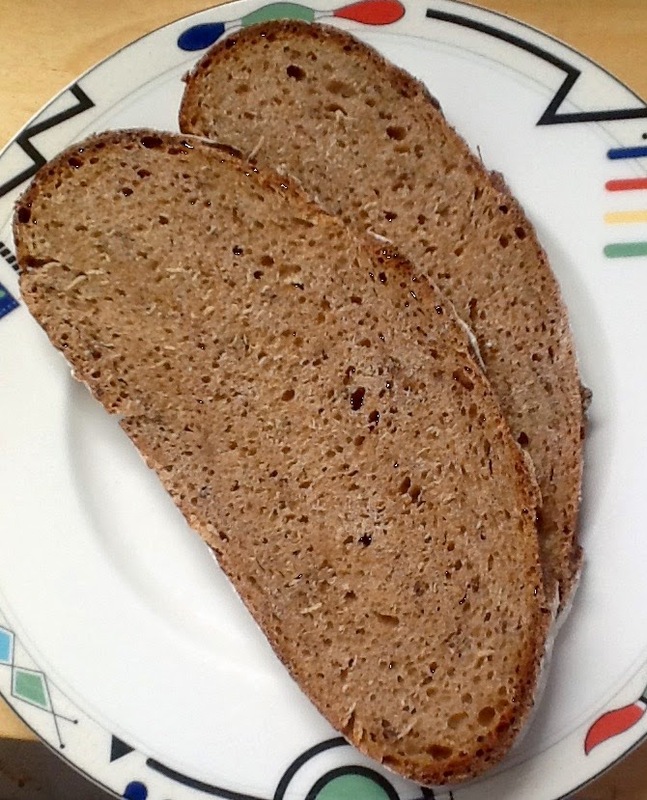 After the successful bake, I began exploring rye, and soon learned to appreciate the subtle earthy-sweet flavor notes of whole grain rye breads. To improve flavor, I bought a German electric mill (Hawos –Easy) and began milling wheat and rye kernels, and using the fresh flours in my bread. The flavor was so exceptional; it was quite a revelation to me. Now, I have sacks of 25 kg of flour lying in my house , a mini old fridge where freshly ground grains reside, and a recently bought 4 tray convection oven to increase my capacity. I’ve also sourced some organic Rye , and wheat flours from a German culinary wholesale distributor in Dubai. I have a full time desk job, but bake for a monthly local event that is held in a shopping mall in Dubai: The Arts and Crafts Market. I hope to start an Artisan Bakery in Dubai in the not too distant future. A name (and facebook page) for his bakery exists already: The Golden Wheat Bakery! 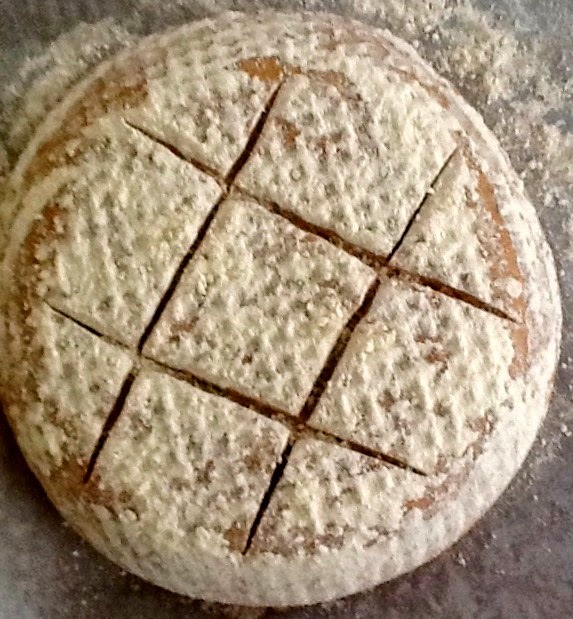 Khalid’s hearty sourdough has a slight hint of sweetness from soaked, pureed raisins. We liked it a lot, and I’ll definitely bake it again. I made two small changes to his original recipe, adding the raisin puree right away to the final dough (it appeared a bit dry), and baking the bread with steam, since I like the crust to be a bit thinner. Mix all ingredients for levain, until well combined. Cover, and leave at room temperature overnight. In small bowl, pour boiling water over raisins. Cover, and let soak overnight. Using a blender or immersion blender, puree raisins and any remaining soaking water. Place raisin puree, flours and water for the final dough in mixer bowl. 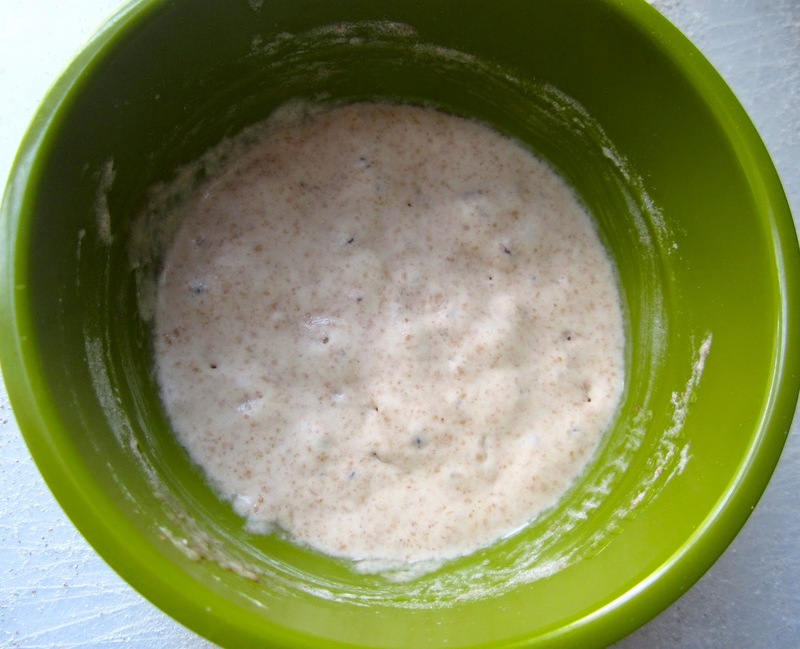 Mix, until all flour is hydrated. Leave for 30 – 60 minutes (autolyse). Add levain and salt, and knead at low speed for 5 minutes. Let rest for 5 minutes, then resume kneading for 2-3 minutes at medium-low speed. 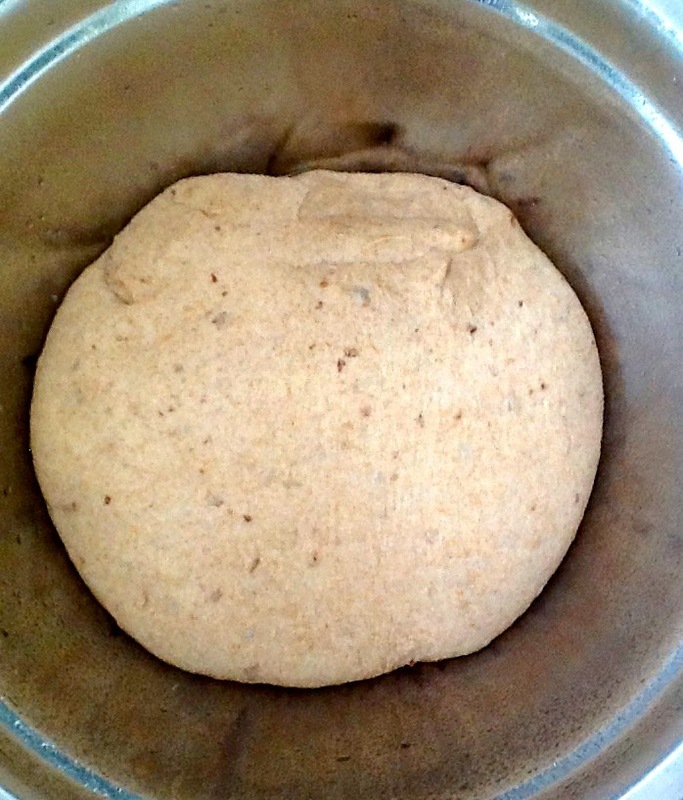 Transfer dough to lightly oiled bowl, cover, and let ferment for 2 – 2 1/2 hours, with 1 x stretch & fold after 60 minutes. It should grow about 1 1/2 times its original size. 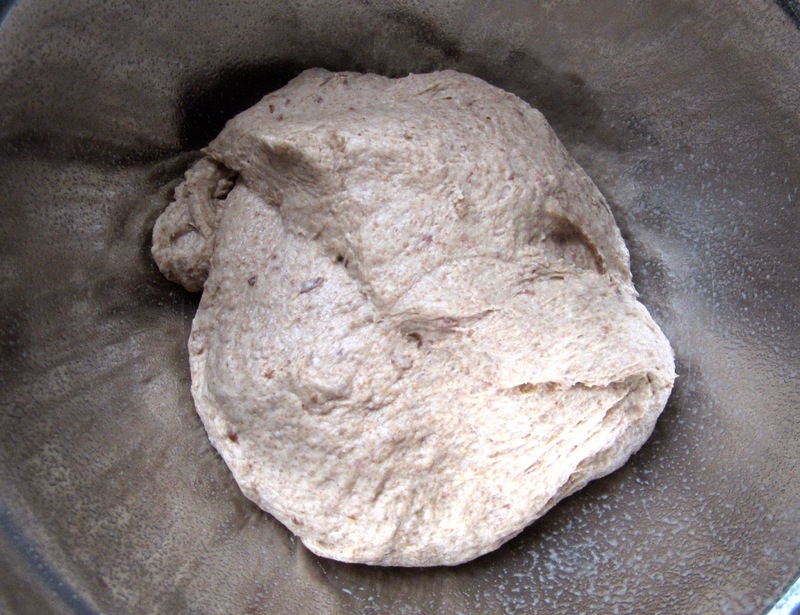 Transfer dough to lightly floured work surface and pre-shape into a round. Cover, and let rest on the bench for 15 minutes, then shape into a boule or bâtard. 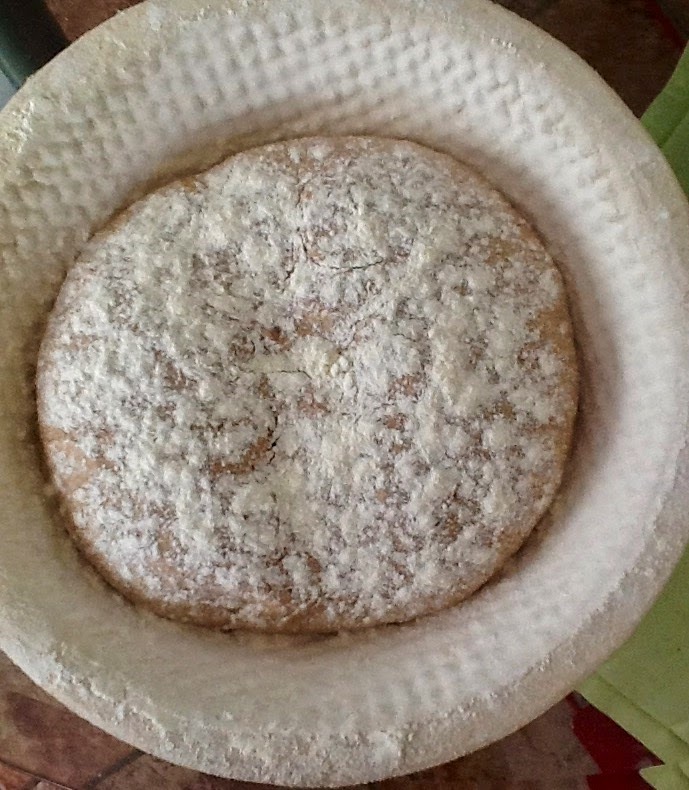 Place, seam side up, in a well floured rising basket, sprinkle with flour, and let rise, covered, for about 2 hours, or until it has grown about 1 1/2 times its original size (a dimple, made with your finger, should come back a little, but remain visible). Meanwhile preheat oven to 482ºF/250ºC, including baking stone and steaming device (or don’t steam, if you like a rather thick crust). Transfer bread to parchment lined baking sheet (or bake directly on baking stone). Score. Bake for 15 minutes, with steam, then remove steam pan, rotate bread 180 degrees, and reduce temperature to 410ºF/210ºC. Bake for another 25 – 30 minutes, until crust is a dark reddish brown and the internal temperature registers at least 200ºF/93ºC. Let bread cool completely on wire rack before slicing. thank you for this interesting insight; I wish Khalid luck in his enterprise! and your bread looks very delicious! Thanks, Christine, this IS a really good bread. I might even bake it for my customers. I will definitely do this and pass it on to another bread-head friend 🙂 I like that it has spelt and rye in it. Thanks and yes, wish Khalid well!